Man’s Body are a five piece soft-punk band based in both Chicago and LA. After forming in 2016, they tested the waters by releasing the Found EP in 2017. After a series of successful live shows, the band opted to re-enter the studio in 2018 to commence work on their debut album. The resulting product, Put Your Family In It stands as a confident statement of intent from a well-rehearsed and ambitious group of musicians. Put Your Family In It opens with a prelude of post-punk sounding guitar parts before easing into the laid-back feel of ‘Man’s Body Theme’. The band draw inspiration from a wide range of influences, including indie rock and first-wave punk. The bass parts on the album consistently glue the arrangements together and are wonderfully melodic, which is something I’d strongly encourage the band to continue to make use of on future releases. Each track also has a strong focus on backing vocals, which add a wonderful presence to the material and is something I’d very much hope the band prioritise in a live setting. ‘Nogoshow’ is a particular highlight, making use of an optimistic chord progression embellished by a melodic bassline and a range of layered guitar parts. I felt this really captured the core values of the band’s sonic identity and would be worth considering for a single release. ‘Man’s Body’ is an interesting name and one I’d very much imagine ties in with your marketing/visual identity. Can you tell us a little bit about the origins of the name and what it means to you? The name Man’s Body was our singer Greg’s idea. He was thinking about the phrase “man’s body found”, like a typical headline from a newspaper, and we thought it was weird and kind of creepy. Since then, we’ve found that people tend to have marked reactions to the name Man’s Body, often as though there is something violent or sexual implied in it. Even saying the name sometimes elicits responses like we’d just made a mildly rude utterance. The name has become a bit of a Rorschach test in this sense. You have members based in both Chicago and Los Angeles. What are some of the benefits of being in a band based across two separate cities? There are both benefits and drawbacks to being a transcontinental band. I guess the best perk is that we get to take advantage of the high-caliber studio musicians in both L.A. and Chicago. It’s cool having a foot in each city’s scene, too. Greg brings a more West Coast sensibility to things, and I guess I have a more Midwestern outlook. Plus we get to travel a lot! ‘Put Your Family In It’ features a wonderful mix of indie rock and old school pop punk. Can you give us some insight into your writing process and where your sound comes from? This record was different from our debut EP from last year. The EP was Greg’s songs and a couple covers. On this record we branched out and got experimental. I switched from drums to guitar, and Marco switched from bass to lead guitar, and then that’s when the additional hired players came in. So there were some songs I wrote, some songs Greg wrote, and other songs that we collaborated on. We were finding our sea legs, and probably still are, honestly. As far as songwriting influences, Greg and I are broad connoisseurs of pop music, in all its forms, and I think our music can’t help but reflect our eclectic tastes. Can you give us a bit of an insight into what the Chicago music scene is like? Are there any other Chicago-based bands you’d recommend? The Chicago music scene has always been amazingly vibrant, a market with any kind of music you want to hear. The great thing about Chicago is that no matter what kind of music you play, there’s a platform for it and an audience that’s sympathetic. Our next Chicago show (Sept. 28 at Debonair Social Club) features two of my favorite local bands: John San Juan is kind of a power-pop songwriter who’s been on the scene for years, really great. And Prichard is an amazing post-punk trio whose sound could strip paint off a car. The new album is very well-rounded and a confident statement of intent. What can we expect next from the band? We’re not sure! 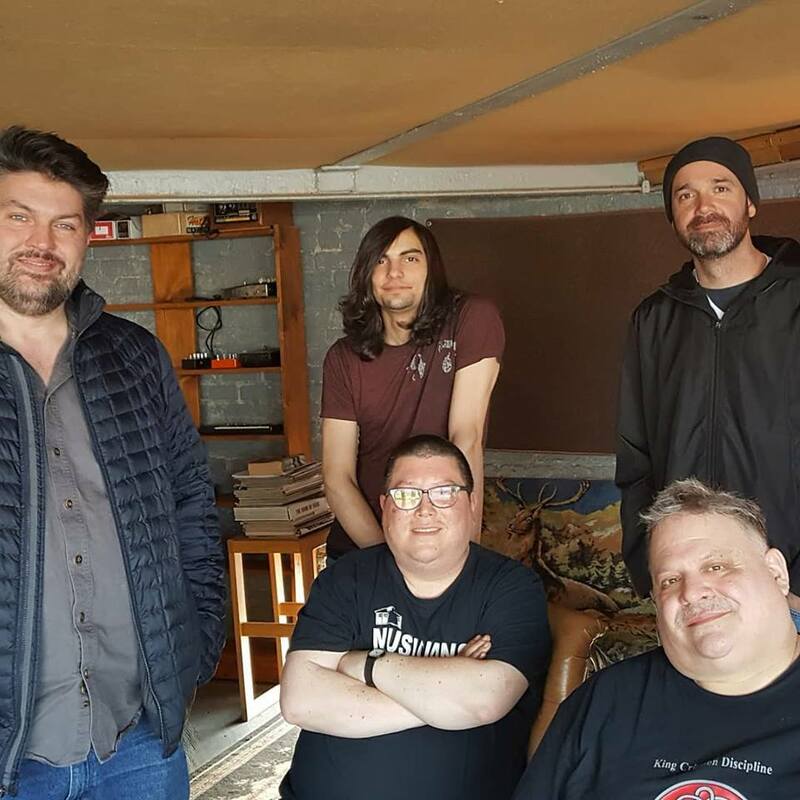 We’re having a wonderful time learning how to work with one another – originally the band was just a one-off studio project, so we didn’t know things would develop the way they did, so fruitfully. This next album will probably feature the songwriting debut of our other guitar player, Marco. We enjoy recording in different places (three different studios on the album: Connecticut, LA, and Chicago), and absorbing the influences of different engineers and studios, and that will probably continue in our modus operandi. It also helps to play with amazingly competent session musicians, and we’ve got a great arsenal of players at our disposal now. Stay tuned!